Lindsay Dunne is one of the most talented ballet dancers of her generation. She's spent years pursuing her dreams, but outside of the spotlight she knows something is missing from her life. When her mother is seriously injured in a car accident, Lindsay drops everything to take care of her. As she settles into her new life as a ballet teacher she realises she has never really found the time for family - or for love. Meanwhile Lindsay is keen to promote her protégée, Ruth Bannion - a young dancer with huge potential. Lindsay wants Ruth to attend ballet school in New York. But Ruth's uncle and guardian, Seth Bannion, isn't sure she's ready. He refuses permission. As Lindsay and Seth fight over Ruth's future, both begin to feel a strong, intoxicating passion. Can they put aside their differences and find a future together...? 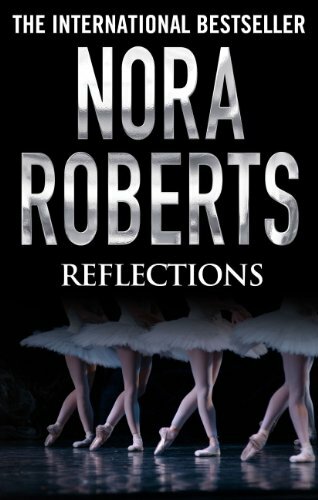 Reflections is a standalone novel - but readers can follow Ruth Bannion's story in a sequel, Dance of Dreams.